Gemeenskapsontwikkelings binne Trustgebiede in Suid-Afrika loop soms wye draaie voordat armoede aangespreek word. Soms oorvleuel gebiede en “leierskappe”. Dis nie dat finansies altyd skaars is nie. Daar word baie uitgedeel. Die opinie is voorts – indien die regering al die korrupsie sedert 1994 hokgeslaan het en met rente verhaal het, sou ons lankal een van die beste eerste wêreldlande in Afrika gewees het. Indien die regering nie al die misdadigers en terroriste of selfs al wat immigrant is in Suid-Afrika gehuisves het nie, sou daar nie soveel aanvalle, verkragtings, mensehandel en moorde plaasgevind het nie. Dit is nie net werkloosheid wat die probleem is en word nie. Daar is absoluut geen beheer nie en dit begin by die topbestuur van die land wat hulle skuldig maak en dan nie vervolg word nie. Indien die ondersteuners of terroriste nie alles afbrand in die land nie, het hulle beter geleenthede gehad om in te bly en werksaam te wees. Hulle stem vir ‘n kommunistiese regering en indien mens stem vir uitwissing, stem daarvoor. Demokrasie breek nie af nie, dit bou volke op. Kommunisme vernietig alles van elke volk. 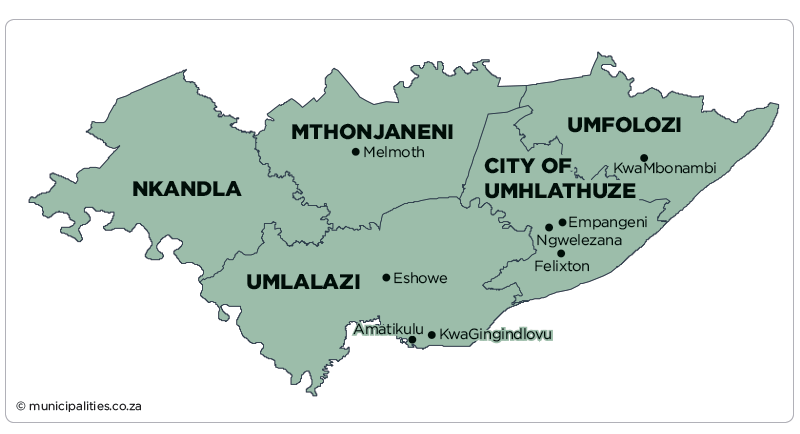 Trustees of a community fund in northern KwaZulu-Natal have been given a stern warning not to embezzle funds meant for community development. Mining giant Richards Bay Minerals handed over R74-million to the KwaMbonambi Community Trust, which has been plagued by a leadership dispute for many years. Residents are hoping the R74-million handed over by mining company Richards Bay Minerals will change their lives for the better. Local authorities promise the money will be used to benefit residents and not officials running the community trust. “All the funds that have been received are the funds that will be utilised according to what the community needs not what the trust needs. Over and above, the Trust has formally appointed auditors and accountants to make sure that processes and systems are followed in procuring any services that must be done by the Trust,” said KwaMbonambi acting Chief, Martin Mbuyazi. Locals want the funds to be invested in education and agricultural projects for community development. Richards Bay Minerals says it will ensure accountability. “We do have a trustee that represents us on the Trust to make sure that is governed properly and that the disbursements arrive. Also, when we went through the process of releasing the funds, we made sure that the Trust has got a plan. The plan that they are going to spend the money on, that we can follow up and audit on. So, that’s what we will be using to hold the Trust accountable. To make sure the money reaches the rightful beneficiaries that we are looking for,” said RBM managing director, Billy Mawasha. The KwaZulu-Natal provincial government echoed the warning that trustees should not embezzle money meant for community development. The legal battle over the KwaMbonambi traditional leadership is set to be heard in the Constitutional Court in August. The Deputy Minister of Mineral Resources, Mr. Godfrey Oliphant (MP) will tomorrow, 20 May 2018, officiate the handover of the Mbonambi Community Trust Fund as well as Social and Labour Plans (SLPs) to be implemented by Richards Bay Minerals (RBM). The Trust Fund, worth R74.5 million, emanates from the 2009 restructuring of RBM to comply with empowerment requirements and the Mining Charter enforced by the Department. The Deputy Minister will be joined by KwaZulu Natal Premier Willies Mchunu, Cooperative Government and Traditional Affairs MEC Nomusa Dube-Ncube, representatives of the Mbonambi Traditional Council led by Mr. Martin Mbuyazi and RBM Managing Director Mr. Billy Mawasha. The matter was set to heard in the Constitutional Court in August, but the Sunday Tribune understands that King Goodwill Zwelithini has intervened and will now decide who should be the clan leader. Prince Thulani Zulu of the Royal Household confirmed that the matter was now in the hands of King Zwelithini but wouldn’t comment further, saying that he was not privy to the discussions. RBM has disclosed that the R74.5 million will be shared between two trusts, with R35.3m allocated to a development trust and R39.2m to a public benefit trust. RBM, which is owned by Rio Tinto, was ready and waiting since 2009 to make the payout in respect of mining on ancestral land which belongs to the local Mbuyazi clan, but a leadership dispute among clan members had delayed the release of the funds. The squabbling dragged on for 13 years. The company, which has been mining ilmenite, rutile and zircon from the beach sand in the area for at least four decades, is expected to make the announcement today at an event to be held in Kwa- Mbonambi. The payout forms part of the 2009 empowerment agreement between the RBM and the Mbuyazi community. RBM’s managing director, Billy Mawasha, said they were advised by Premier Mchunu to release the payout because appropriate structures were now in place. “An administrator has been appointed to act as community leader and legally recognised trustees have been registered for both the community trusts,” he said. The unresolved leadership wrangle is between Sithembile Mbuyazi, the widow of the late disputed chief, Sibusiso Mbuyazi, and the administrator of the clan, Martin Mbuyazi, who was appointed by Premier Mchunu in a bid to quell the squabbling in 2017. Sibusiso was officially installed as Inkosi in 2007, two years after the death of the then leader Inkosi Mtholeni Mbuyazi. But the family backtracked and presented Sibusiso’s half-brother, Mkhanyiseni Mbonambi, as the legitimate Inkosi. Sibusiso and his wife, Sithembile, fought that decision all the way to the courts until his death in 2015. KHOISAN people have also trustlands and cpa’s only registered for their own ethnic peoples, for nobody else.